Please browse the gift ideas we have come across for tech gadgets and electronics throughout 2010. We hope you will find this gift guide to be helpful in finding the perfect gift for the gadget-lover in your life. Description: HeatShift technology allows these crystal-filled pads to cool laptops and netbooks without the use of USB fans. 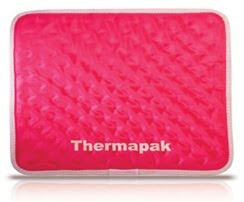 These pads are available in a variety of sizes and colors (black, white, and pink). NOTE: The majority of products listed in this gift guide are ones we have personally had the opportunity to use and report on in the form of a product review. The products featured here without a link to a product review have not been tested by us, but appeared to be a pleasing gift and have been included in this gift guide for a small fee. Please remember that this guide exists to offer gift ideas and you, as a smart consumer, should not base your purchases solely on the recommendation of this gift guide. Learn how to have your product included in this gift guide.